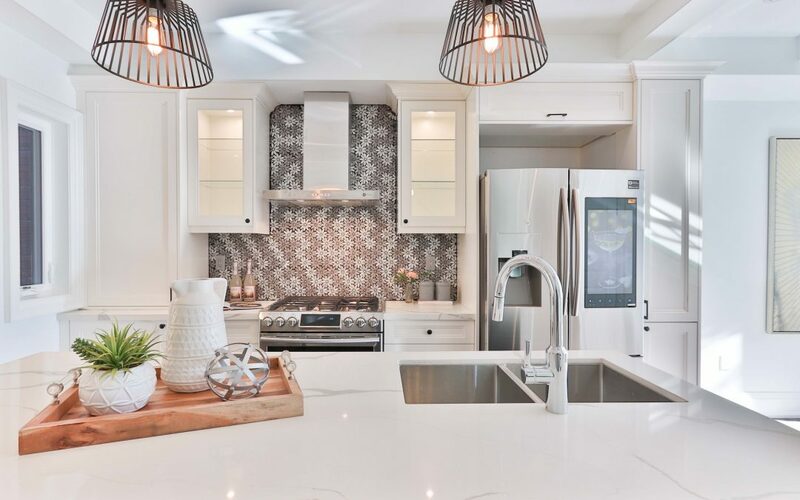 Heyyy, I am guessing you are reading this because you know I am an interior designer and I design peoples homes and you want to hear what I have to say about kitchens. But actually this time I didn’t design someone else home- I designed my own! It was (still is) a super fun experience and a learning experience so I figured, hey, why not let other people benefit from my learning? So here goes. I’ll break it down into steps for you. First off the layout, you have to think about what you want to do with the space before you can start designing it. Do you want open concept? 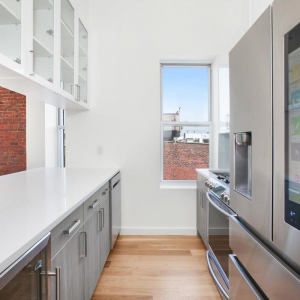 Do you want lots of counter space or is an appliance wall something you always wanted? Go ahed and Pinterest and google and search inspo for your perfect kitchen. Because trust me, doing a whole layout and then going -oh, wait, I wanted this lets start over is annoying for you and the kitchen designer. I know, I hear ya- what is the perfect layout? There is none. Sorry to burst your bubble lol. Every single person and every single family has different needs and you need to evaluate. For example, I need a breakfast bar so that my kids can eat breakfast there without making another whole room dirty. I needed a big counter where my kids could bake with me. I “needed” my backsplash to have a moment behind the oven. Now, once you have those needs written down on the notepad in your phone, you are going to want to know some basic rules. 1. Make sure that the sink, stovetop, and fridge are all pretty easily accessible to each other and dont need running around counters to get from one to the other. You dont want to be running a marathon whenever you cook dinner. 2. Make sure you have the right storage in the right places. So pantry near cooking area, spices near stovetop, coffee cups in coffee corner, disposables by breakfast bar etc. 3. You want to be leaving enough passage way. Now, if you are working with a proffesional they won’t let you mess this up, but if not – make sure you have 40″ clearance in front of each counter. Well, that was a lot about layouts- hopefully I can do the rest faster- would not want to bore you! I want you to love this so much you share it! Ok, working our way, your next stop is to hire a contractor. This is hard, how do you know who won’t mess you over? Guess what? I asked the Town Hall- they responded that they aren’t allowed to suggest anyone. But when I came in with three quotes they pointed to one and said- he has yet to fail an inspection. If you get a good vibe, the inspector of your town likes him, and he has references, he’s your guy. Trust me- from experience, even if he is a little more than you wanted to spend he is worth it. Now, while the contractor is working on getting you your building permits you are going to want to order all the items for your kitchen. You do not want to forget about something and then realize one day before you need it and hold up the project. So the first thing to order is the cabinets. You send the layout to the cabinet guys, and then meet with them to perfect the exact right cabinets for you. Pick the finish you want, the style, the amount of drawers vs cabinets, what you want where and be ready to order as soon as possible. Make sure you look over the plan carefully- that the appliances are in the right place and are the right size, that you have the storage you need in the right places and that the sinks are all good. Do not forget to choose door handles! Now you need tiles. Tile stores are insanely overwhelming for most so if you have a designer have them go for you and get some options so its not headache-inducing. If you go to the tile store here is how you do it. Find a tile that looks like your cabinet (you can ask the sales people for help). Next, find the counter you love and a backsplash to match. Now you pick out the most complimenting floor. 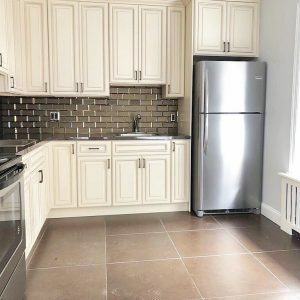 If you are the kind of person who needs rules usually the cabinets will contrast with the floor and counter and the backsplash will be a mix of the two. Now, make sure you have your measurements before you go so you can put in the order and have the items ready to install. You are going to want to take the cabinet plan with you and the floor plan so you have all the measurements needed. Whew! The kitchen is coming together! Now we need appliances. I would suggest going to an appliance store with the cabinet plan and sitting down and choosing all the appliances at once. The sales rep will help you with quality and pricing and this way you see it all in one shot and you know if you like it. Another tip- buy the same company. Stainless steel looks different with every manufacturer and you don’t want a bunch of different metals in your kitchen. Next up we need fixtures. Find the lighting store and choose and order the lights. They can sit in a box for a few weeks, it is better than holding up the project. Now, listen to your contractor, oversee the project, and speak up if you are nervous or there is something you do not like. This is your last chance to change it. I really sincerely hope this helps someone. Go ahead and share if it helped you!